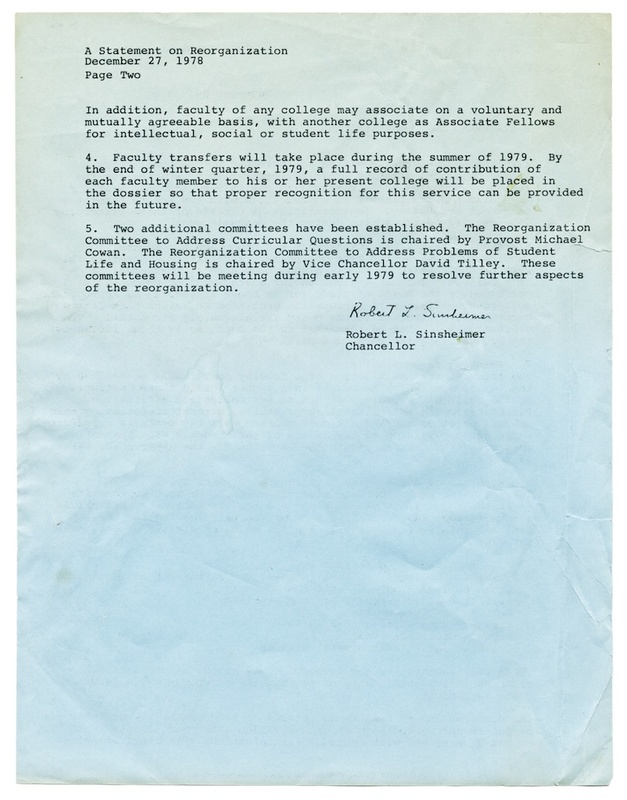 Memo: "A Statement on Reorganization." Chancellor Robert Sinsheimer. December 27, 1978. 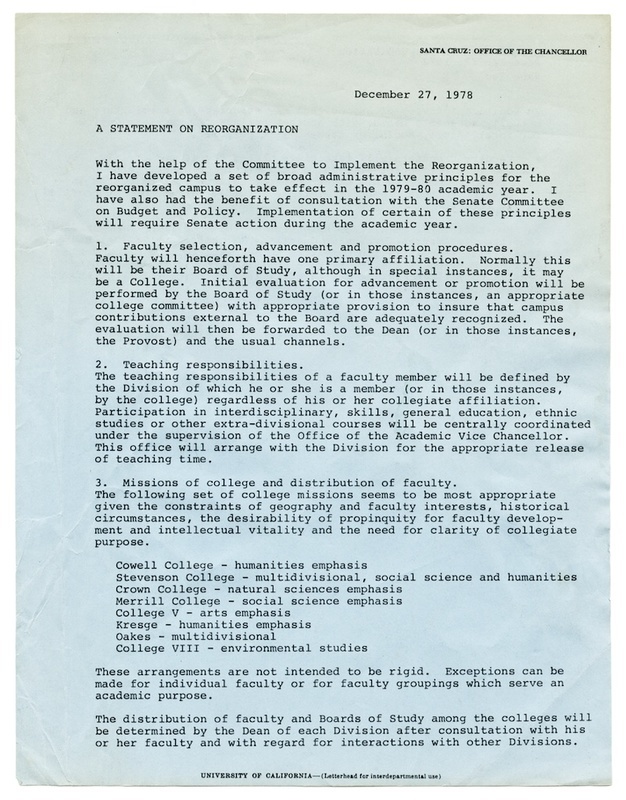 “"A statement on reorganization" 1978 (typescript),” Digital Exhibits, accessed April 20, 2019, https://exhibits.library.ucsc.edu/items/show/1901.